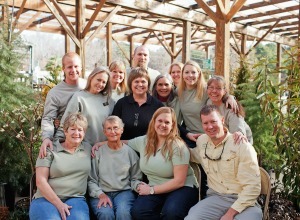 Like most other things in life, there were a lot of twists and turns before the garden center ever came to fruition. Some of these may surprise you while others may not. 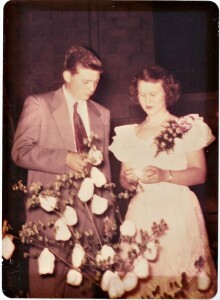 My grandparents, Tom and Jo Ann Dewar, purchased the 18 acres that the business now sits on in 1960. Tom at the time was an air traffic controller at RDU after finishing with the coast guard. Jo Ann did a little of everything including being the mother of 2 (with 2 more to come later). 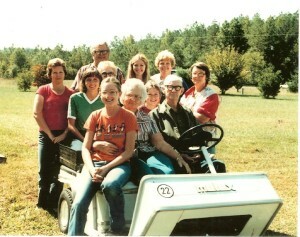 Primarily she maintained the farm that was created on the 18 acres. The farm consisted of pigs, cows, chickens, hay, melons and strawberries. The strawberries actually were the first cash crop grown on this property. Jo Ann had the idea to grow several rows of berries and sell them in a “pick your own” fashion like many current day farms do. Sometime along in 1966-67 Jo Ann decided to start a business for extra income for the family. All four children were either in or close to being in school so she had time to devote to work. The first business actually had nothing to do with plants……..and everything to do with dogs. Fairview Kennel was built on the property to board and groom dogs. 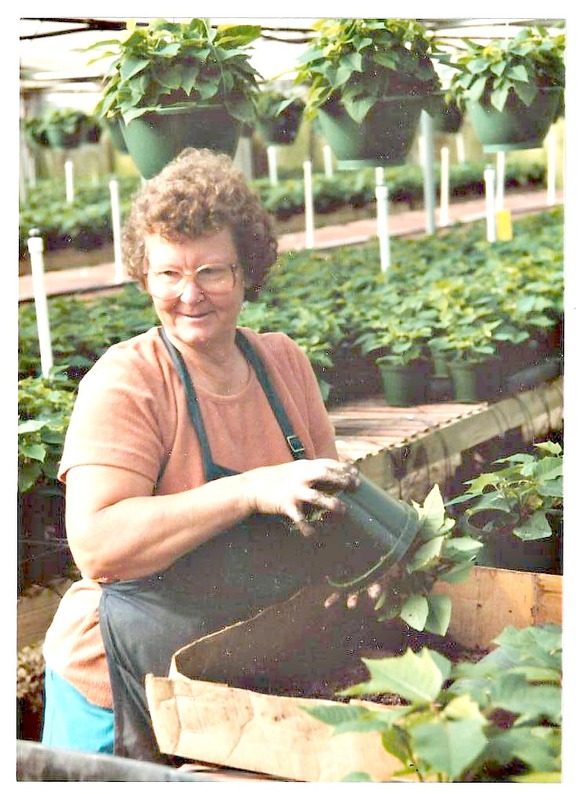 Jo Ann worked in the kennel until 1973 when she decided that she missed plants too much. 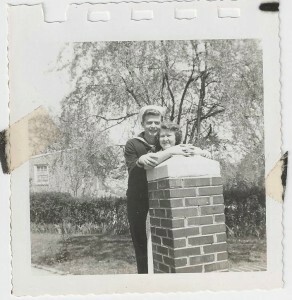 The kennel was left under the management of her business partner and Jo Ann moved in another direction. Tom built Jo Ann the first greenhouse in 1973. The greenhouse was not large compared to the space we have today. The first crops grown were geraniums grown from cuttings taken from neighbor’s plants, tomatoes, peppers, poinsettias, and other bedding plants. 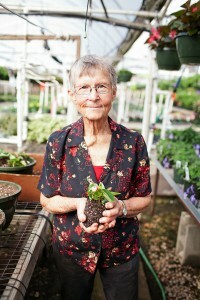 Jo Ann arranged a deal with Winn Dixie grocery store inCaryto sell plants on consignment. 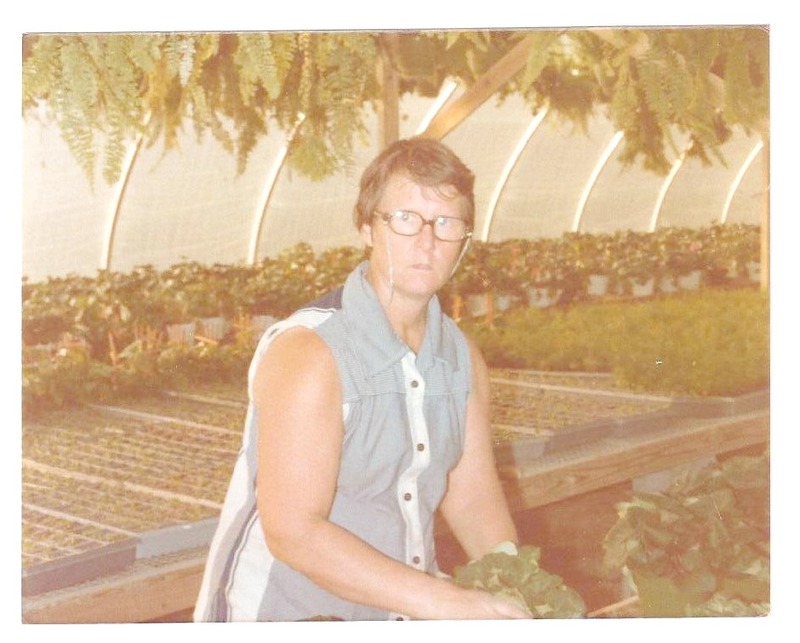 Later in the same year, our plants and produce moved into several other Winn Dixie stores as well as Colonial, A&P, and Kerr Drug stores. At this point, all of our business was wholesale. We had no retail customers because the business was located in a very rural area. 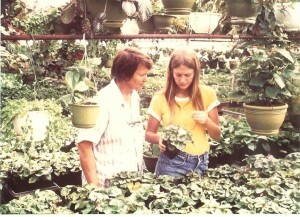 The greenhouse was expanded in 1974, ’76, and ’78. The business grew in this fashion until the mid ‘80s. 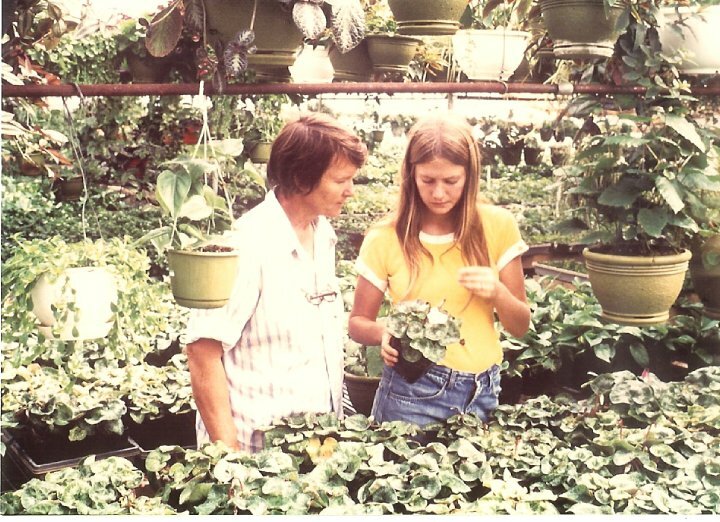 During the 1980s and 90s, the population in the area around the greenhouse began to explode. A retail market that had not previously existed began to grow stronger every year. Neighbors and random passers-by began to stop in looking for plants for their homes and landscapes. 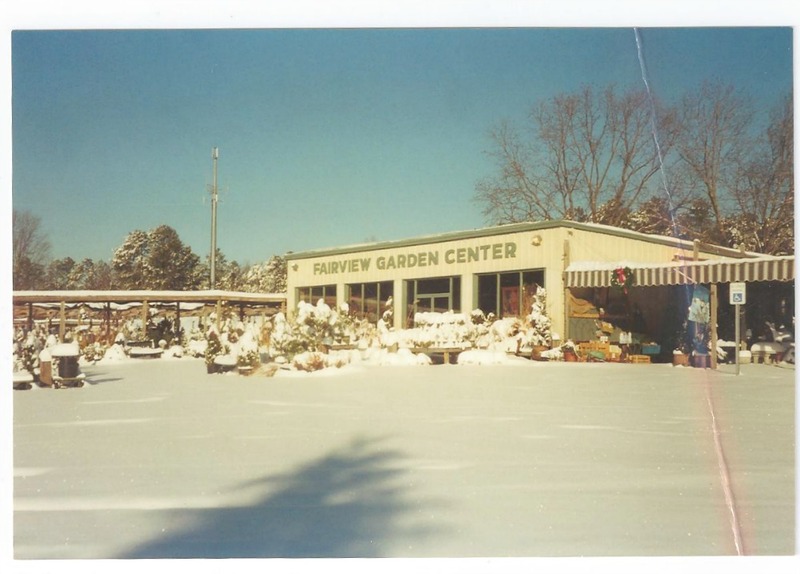 At the time, Fairview Greenhouses was still a wholesale business without the capability of serving retail customers effectively. 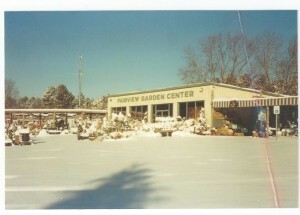 In 1987 the decision was made to add a retail division to the business and in 1988 our first garden center was built. The first store carried a lot of gardening tools, equipment, and sprays as well as hardware. We also expanded into trees, shrubs, and perennials for our customers. 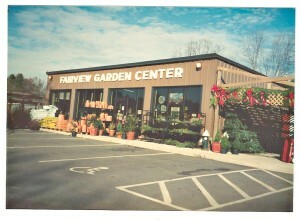 From 1988 to 1998 Fairview Greenhouses and Garden Center operated both as a wholesale and retail business. During those ten years, the market around our store changed dramatically again. The population continued to explode while subdivisions began to replace farmland. In ’98 we decided to focus our efforts solely on retail and move away from wholesale (except for poinsettias which are grown for a lot of fund raising groups). At this point we realized that our layout at the time was not conducive for an excellent shopping experience. The decision was made to renovate again and build our current store and layout. The first permits were applied for in 1998……….we would not break ground on the project until 2003! There was a lot of red tape throughout the permit process that cost us time and money. In June of 2003 we broke ground on our renovation project and had our grand opening in April of 2004. We feel our new layout and store is MUCH easier to shop with the wide concrete pathways. I still think back to children in strollers being pushed around our muddy gravel paths in our old layout. Wow what a difference! Unloading and stocking plant material is much easier for us now as well. That is the Fairview history in a nutshell. Many of the decisions in the process that have gotten us to this point have been difficult to make but we feel they were the correct choices at the time. We hope our customers enjoy their time spent at our store. All of that being said, we are always looking for suggestions from our customers on how to improve our business. If you have an idea or suggestion, please let me know. 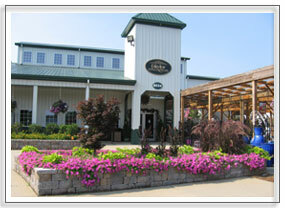 Feel free to email me at info@fairviewgardencenter.com. 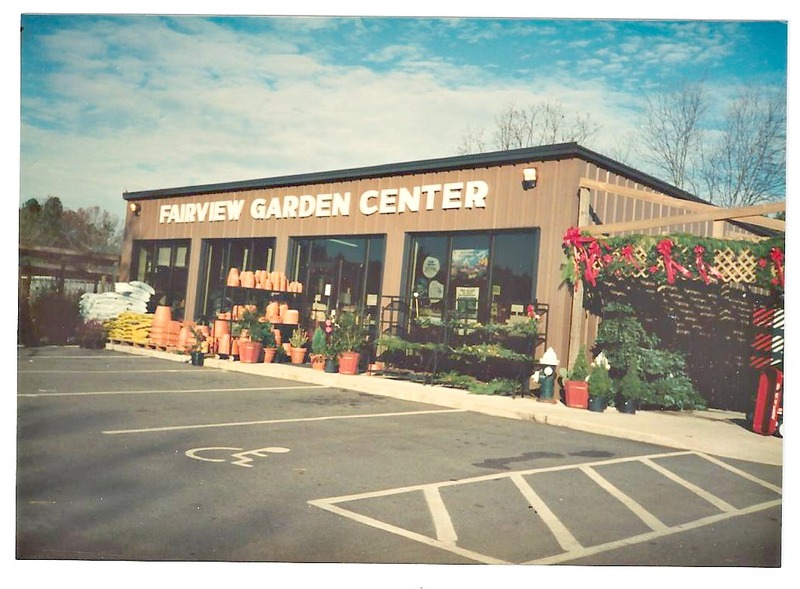 I hope you have enjoyed this quick history lesson about Fairview Garden Center!